What’s the difference between risk and hazard and why is it important to know? 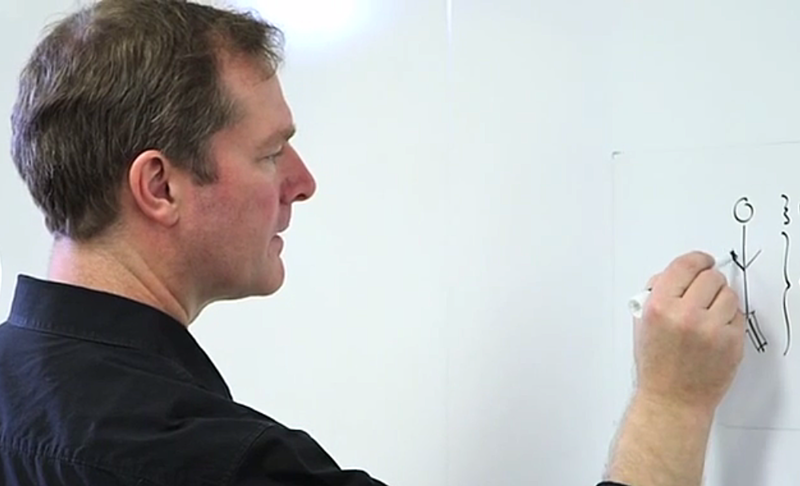 Dr Andrew Maynard* who directs the Risk Science Center at the University of Michigan’s School of Public Health, explains these concepts in a series of whiteboard videos called Risk Bites. We asked him about his work. How do you explain the difference between risk and hazard? Something that is hazardous has potential to cause harm. Conversely, something that is risky has probability for causing harm. This is one of a number of learning points that I infuse across the Risk Bites videos. Hazard doesn’t change – whether something’s sitting on the table, in your hands, in a locked cupboard or 1,000 miles away – but the risk changes enormously depending on exposure. What’s the problem if people don’t understand risk and hazard? They will make decisions that end up endangering people more than protecting them. If you make decisions on risk that are not well informed, or you don’t understand what’s important, you can’t guarantee that your decisions will be the safest. The difficulty is that people and organizations aren’t designed to think logically about risk. It’s just part of being human (even scientists don’t think logically when they sometimes think they do). So a large part of what we do is try to understand how people perceive risk and the psychological processes involved in evaluating risk, then use that information to help people make the best possible choices. How do regulators look at it? With regulators, things get difficult because, depending on which country, they can have different criteria for moving from science to policy-based decisions. How do you decide what is an acceptable level of risk? One problem is the way regulators think consumers respond to news isn’t the same as how they actually do. For example, take the use of BPA [Bisphenol-A] in food canisters. We saw a massive change in regulation of BPA across the world due to media reports. You would have thought the person on the street would have known about it. But in reality, most consumers have very little knowledge of BPA. This was an example of the disconnect between media, policymakers and the public. How do you approach these topics for your Risk Bites videos? I’m fairly conservative and I’m very careful not to tell people the “right way” to think or the “right answer”. Rather, I set out to provide people with information and insights they can use to make sense of topics themselves and think critically about reliable science. I try to stay within areas where I’m familiar with the state of the science, there is a consensus, or the weight of scientific evidence leans clearly in one direction. What advice do you have for scientists at large to better communicate with the public? Treat your audience as a partner and never underestimate the intelligence of the public. You don’t know everything that they know and vice versa. It’s a two-way flow of information. Enlighten and empower your audience rather than “educate”. You’ve got to understand what your audience is looking for and how you can benefit them. It’s about providing what they need to know to make better decisions for themselves. What are your future plans for risk communication? We want to think very creatively about risk, using communication and engagement. Risk Bites will be at the center of that and a big focus will be on emerging technologies. We also want to partner with other universities and train people to create their own Risk Bites and similar platforms. The ways we think about risk – whether as regulators, manufacturers or consumers – are both very old-fashioned and constrained. Risk is always something that we don’t want and have to deal with, but we can almost turn it into an asset. Using imaginative tactics like working with the performing arts, we want to force people to think outside their current domain and how they can use risk assessment to create better products and make better decisions. * As of September 2015, Maynard will be moving to Arizona State University to head up a new Risk Innovation Lab. Risk Bites will continue under this initiative.